Very cute...Your model is really precious! I really like the Clara Tiered Ruffle dress! I already like your new fb page! I like the peekaboo patterns fb page. I love the ruffle romper but I especially love your Zoolander reference! i like the natalie. The Navy is great, i made my lass an all in one but in a light fabric, within minutes the bum was brown (she sat in mud!). The navy will not show up bum dirt! How can I possibly choose a single favourite .. actualy, the Evelyn Dress and Swing Top is pretty adorable. I just liked Peek-a-Boo. How could I not!? I definitely want to keep up with them! So hard to choose a particular favourite from Peekaboo - I wanna make so many of them. Today, I think you have decided me in favour of the Retro Romper. I have a 20 mo who will look adorable in it when summer comes round to the southern hemisphere again. Seriously cute or what?????? I love the retro romper! I just started following you on your Facebook page. I love the retro romper, but going back to look at some more. I like the peek-a-boo Facebook page. This is one of the patterns I like so much already. 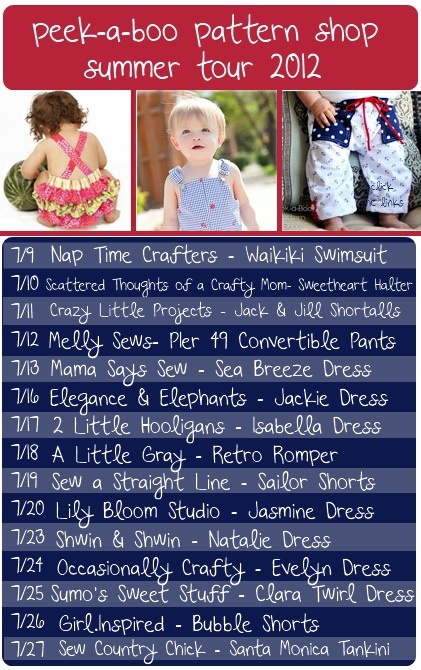 My favorite pattern however, is the Ruffle Bum Romper. You did a great job on the one you've made although I'm not sure I could have fixed it the way you have done. Thank you for showing us. I already 'like' Peek A Boo Pattern Shop on Facebook. Everything looks great, but I especially love the Clara Tiered Twirl Dress! I love the pier 49 pants pattern. Gonna have a grandson next month, my FIRST grandbaby! I've been eyeing her swimsuit patterns. The problem is picking which one to get. This romper is adorable, but I also just saw the Coney Island Tankini. With a matching bathing cap?!?! I mean, does it get any cuter??? I love the Retro Romper. Thanks for the chance to win. I like a little grey on FB. The patterns are gorgeous; is so hard to pick just one. My favorite is "Bubble Shorts" for girls. Thanks for the opportunity! I like Peekaboo patterns on FB. I like A Little Gray on Facebook. ruffle bum romper is the cutest, also the retro romper. I just love the one piece outfits on babies, they are so classic. My favorite is the Annie petal dress! My favorite Peek-A-Boo pattern is the Isabella dress! The Retro Romper is now my absolute favourite pattern. Gorgeous! I now like you on Facebook and look forward to reading your updates! I love the Olivia and Oliver pea coat. Thanks for the deal! Love her patterns! I like Peek-a-Boo Patterns on Facebook! I liked your page on the book. Thanks for having me! Follow Peekaboo Pattern on FB. The patterns are all darling! I like the Evelyn Dress and Swing Top. Thanks for the give away! 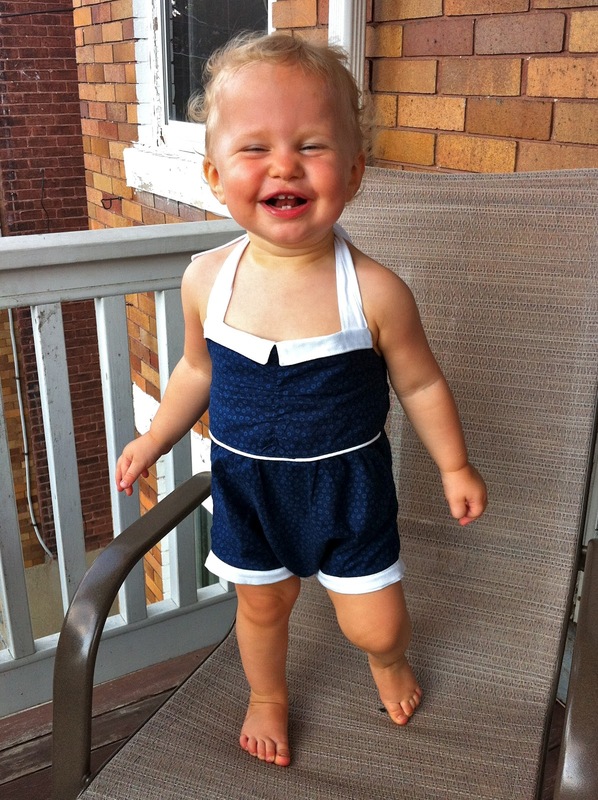 I love he Retro Romper, too! I like peekaboo patterns on fb! jessica, elsie is adorable! i want her to marry henry! lets do an arranged marriage! love the romper! she looks adorable in it! 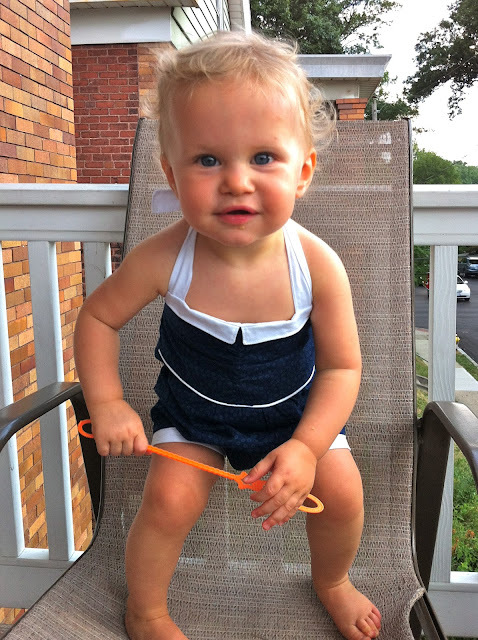 why are rompers so dang adorable? elsie is the cutest!! Such cute stuff - those little bitty shoes just slay me. But I'd have to go with the Lucy dress as my favorite. 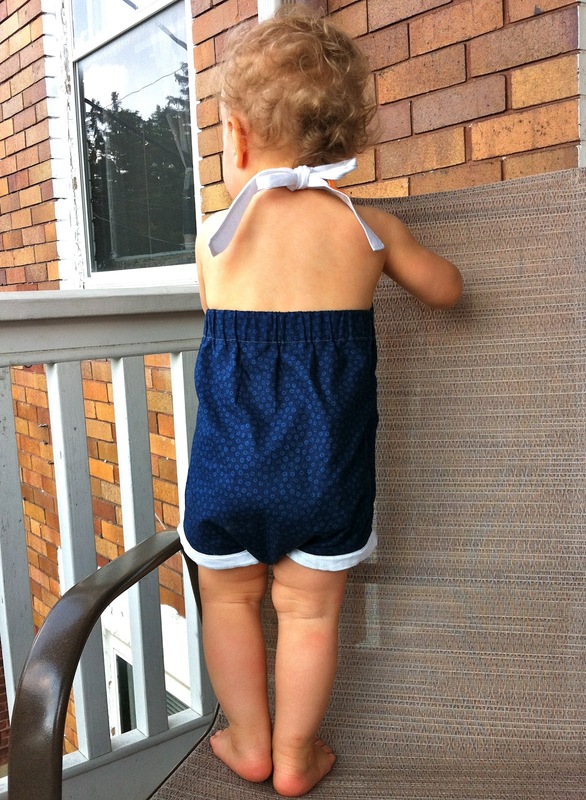 So cute - fav pattern:ruffle bottom romper - just tooo cute! Oooh my goodness, the last picture of her-so adorable!!! My favorites are the Jasmine dress and ruffle bottom romper. 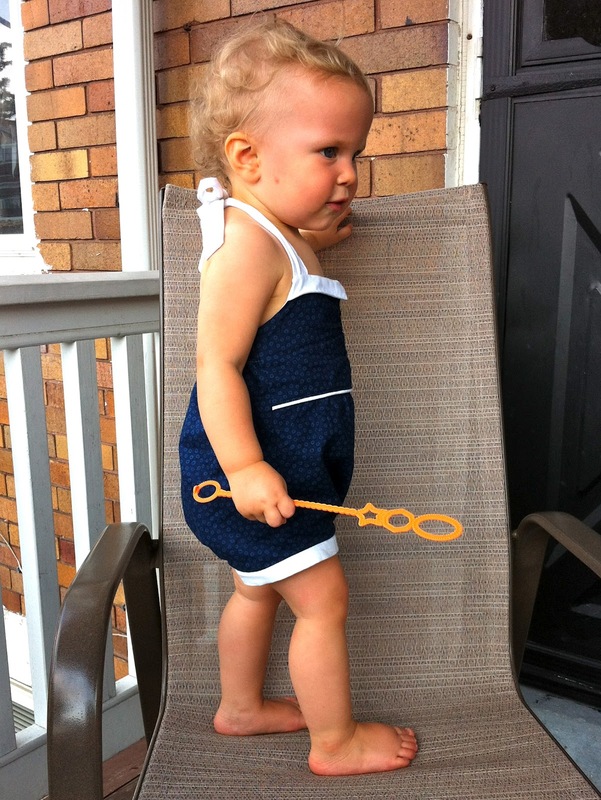 Well, the Retro Romper is hard to beat, but I see lots of other patterns that I would love to make for my nieces. My girls are too old for these cute outfits ... sad.